Coupled of days ago a news came up that Samsung Galaxy Note 7 exploded while resourcing power through its USB 2.0 Type C adapter. The accident happened in China. After that rumours were going that Federal Aviation Administration is about to restrict passengers carrying Samsung Galaxy Note 7 on Board. However, they have released guidelines for such passengers and have asked them to neither use nor charge the phone during their journey for safety reasons. It sounds appropriate because the phone exploded each time while charging and there is possibility that maybe the device is not capable of stopping the power into the smartphone. The Federal Aviation Administration has also advised passengers not to turn on or load their Note 7 in a checked baggage because a friction can also cause explosion. Official Statement from the manufacturer Samsung has also been released. Samsung has already announced a recall of the device globally and ensured that consumer safety remain the priority for them. Samsung is now working with Consumer Product Safety Commission (CPSC) regarding this issue which is a U.S. government agency to conduct an official recall of any product. Samsung is not just recalling thousands of faulty units that have already been sold, but also has stopped the sale temporarily of Galaxy Note 7 in few areas as well. 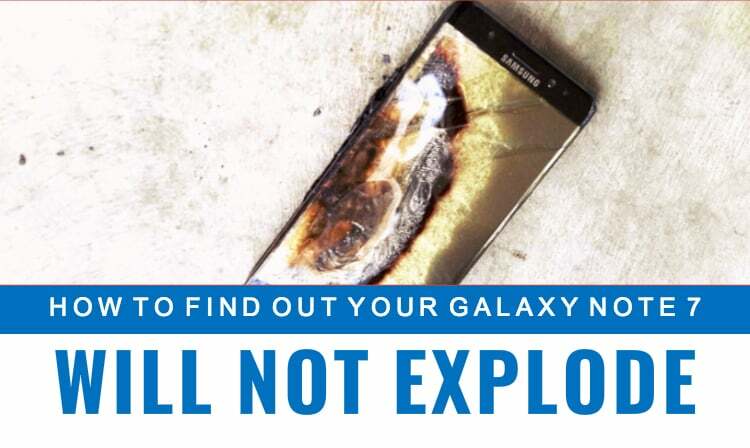 Samsung has offered free replacement of the device for those who already have Samsung Galaxy Note 7. Sale will not start until the entire old stock gets fully replaced with the new one. Still, there is a possibility that you may buy an old device instead of new one, that’s why we are going to give you some tips that will help you to find out that the unit of Samsung Galaxy Note 7 you are going to buy it genuine or faulty. The new lot of Samsung Galaxy Note 7 will consist two unique indicators on each unit to make sure that the device is new and safe. Before purchasing the device you can simply look at the box and if you don’t find these two signs then do not buy the phone. 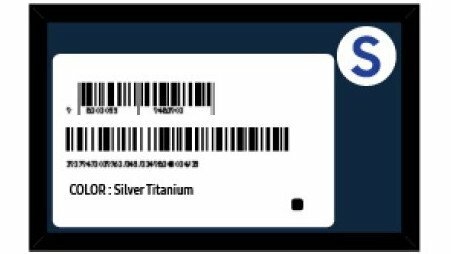 Every new device which is safe will carry a circular shaped sticker near the bar code with the letter S printed on it, the S stands for safe. You will also find a short black square next to the colour and beneath the bar code. Samsung is also going to launch an online tool soon which will find out the details of your handset by tracking the IMEI number and decide that its a faulty device or not. It is surely going to be useful for those who don’t have the box with them anymore. So, this is the easiest method that will help you determine whether your Galaxy Note 7 is a safe unit or not. Tried to take my #Note7 back to #Verizon today, but they wouldn’t take without original box and charger. Called online customer service, they said new one coming out in another week or so, so basically hold on till then. “It’s up to you” she told me. Crazy right?! Customers are getting screwed, despite #Verizon’s online promises to do all they can. This is why people aren’t running to turn theirs in. Really? I’ll go to Verizon today see what they tell me. Recently in Indigo flight in Chennai the Samsung Galaxy Note 2 smoked inside flight. It’s been advised to SWITCH-OFF this mobile during flight travel to avoid any risk.